Social media and smartphones have forever changed how we engage with each other and our communities. We can find dates with a serendipitous swipe, donate to our favorite causes with a few taps on our phones, and sell unwanted items without leaving our living rooms. Even in a digitally focused world, however, old-school methods can sometimes get the job done more effectively, especially when it comes to real community engagement. 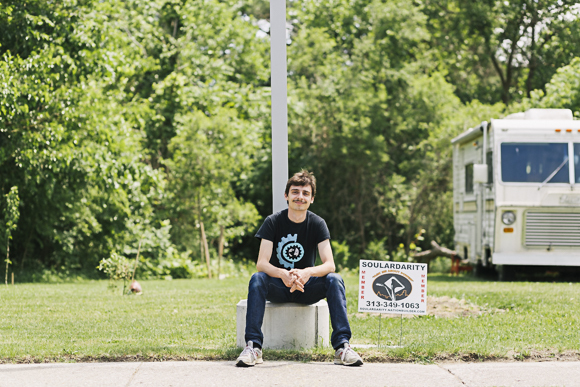 In Hamtramck, citizens are engaging the youth population, a group in Southwest Detroit has been using meetups to grow neighborhood trust, and in Highland Park, a member-based nonprofit has been knocking on residents' doors to build a movement. These words by the 14-year-old Choudhury were shared as part of a "Be a Good Neighbor" event in Hamtramck's recent Youth Story Exhibit at Bank Suey. Project director Uswa Iqbal launched the campaign, which aims to promote social cohesion, peace, and street hygiene in Hamtramck, in January 2016. While an intern at Hamtramck Community Initiative, she made a flier on proper trash disposal with the slogan "Be a Good Neighbor," and got a positive response. This summer, the campaign hosted two summer programs: the Youth Ambassador Program and the Youth Public Health Educator Program. The ambassadors held presentations and town halls at the library, community center, City Hall, and local events, covering topics such as harassment on the streets, road and child safety, littering, and lack of communication among neighbors. The town halls drew 120 people. "The town halls acted as civic engagement platform and 'neutral zone,'" says Iqbal, "where community members of all ages were welcome and had open and honest discussions about the issues that the youth ambassadors presented." Focusing on street hygiene, the public educator participants generated health information to share with the community and made fliers which they distributed around Hamtramck. They also painted trash cans, cleaned up graffiti, planted waterbeds, and designed a pocket park. Iqbal says they used a mix of engagement tools, like fliers, newspapers ads, and announcements at local block clubs. "We found that different methods reach different audiences. For us, since we wanted both youth and the older generation to participate, we had to try our best to cover both the digital and 'real' world." When your community group is by nature digitally focused, how do you engage members who prefer to be offline? In Southwest Detroit, a group is using sweat equity to build community. Unity in Our Community TimeBank is a network of neighbors, local businesses, and community organizations that "prefigure a better world by creating economic relationships based on need and reciprocity, rather than profit," says Alice Bagley, coordinator of Unity in Our Community TimeBank in Southwest Detroit, which the organization defines as Corktown west to Dearborn and from Warren south to the river. A time bank is a form of currency, but instead of cash, neighbors give an hour of service to another and receive credit. The credits are used to receive service in return or to donate to others. TimeBank exchanges cover a variety of services such as pet sitting, painting, Spanish lessons, rides to doctor's appointments, massage therapy, and grant writing. There are also opportunities for group projects, and in the past they have included helping a family clean up after arson, re-landscaping a senior's yard, painting a house, and running a garage sale. By nature, the TimeBank is a web-based system, and the default mode of communication is email. But, Bagley says, many members don't have access to the internet, don't feel comfortable meeting others online, or simply just don't use email. So it's essential for them to go beyond the web for communication and engagement. "Right now we try to do a lot of phone calling as volunteer and staff time is available—checking in on members who we know don't use email, as well as letting folks know about upcoming events." And being social in real life is important. “We have events where people can meet and put a face to a name," says Bagley. "Every fourth Monday we have a happy hour at Abick's bar and every third Wednesday we have a game night at one of our members' house." One successful gathering was the group's first annual Skill Share Fair last year. A two-part event, the fair primarily offered a way for people to offer skills and resources, like bicycle repair and notary services. But they also held a "speed TimeBanking" session. "Basically putting folks in small groups to talk about services they could offer and services that they need," says Bagley. "Folks were encouraged to exchange contact information when there was a match and we heard about many great TimeBank exchanges coming out of this event." Web-based tools are great for when you already have a connection to people, while email and Facebook are cheap and quick. But according to Bagley, to build trust with people who don't have access to technology, it's hard to beat face-to-face contact. 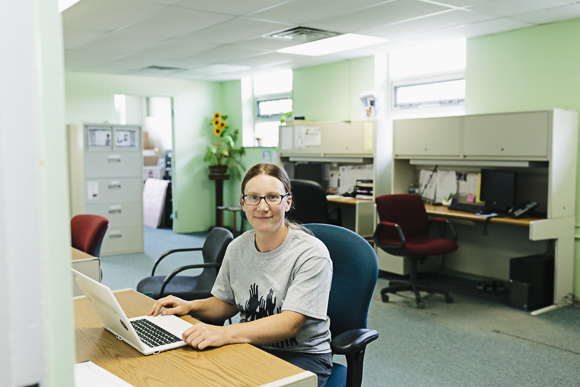 "Once folks have done a couple of TimeBank exchanges, they're more solidly part of our network and then often need fewer phone calls. Since the TimeBank is more of a network of individuals than a top-down organization a lot of that relationship happens by doing. "Every exchange is another point of human engagement." Sometimes, there's only one way to get the information and connections you need to grow as an organization. It's an age-old strategy still used by politicians and solicitors alike: knocking on doors. Soulardarity, the membership-based nonprofit in Highland Park that installs solar-powered streetlights, has run two door-to-door surveys. In 2015 the group surveyed over 630 adult Highland Parkers (8 percent of the adult population) on lighting and energy needs as part of its feasibility study on citywide solar street lighting. "It gave us key information about community priorities and the viability of a membership-based nonprofit owning and operating solar lighting at a citywide scale," says Jackson Koeppel, executive director of Soulardarity. "It was the results of this survey that informed the creation of Let There Be Light, our proposal for 1,000 city-owned solar streetlights." This year, Soulardarity ran a survey on utility justice, focusing on the impacts of utility shutoffs and high utility rates in the community. While it was a smaller sample size (less than 100), it gave Soulardarity insight on areas worth pursuing. According to this year's survey results, about 25 percent of residents had their gas or electricity shut off and nearly 80 percent of shutoffs happened during the winter. The top issues for Highland Parkers are streetlights, education, and water. "Digital and phone outreach does not build relationships, and it does not reach the people in community who are not digitally engaged," says Koeppel. "We learn a lot every time we're out there, both from the data gathered and the experiences and conversations people have at the door." They've used phone calls, texting, and email to engage people and promote events. But, according to Koeppel, "there's no replacement for door-to-door work for building relationships and building movement." Read more articles by Dorothy Hernandez. Dorothy Hernandez is a freelance journalist based in metro Detroit. Visit her website and follow her on Twitter @dorothy_lynn_h.